Back in 1999, the Bavarian brand changed forever. It went from a brand that developed nothing but sedans, coupes and wagons, all of which had some sport of sporty driving ingrained into their DNA, into a brand that was more mainstream, a brand that offered a wider range of vehicles. That’s because in 1999, the first-generation BMW X5 made its debut. 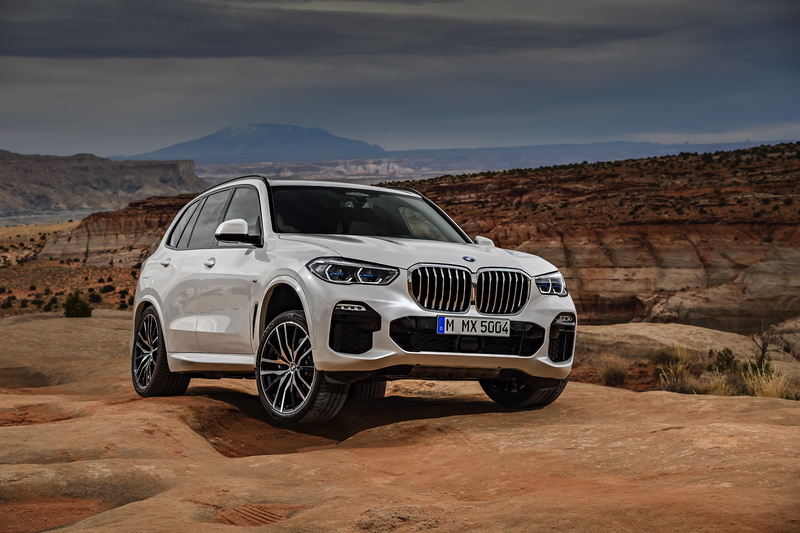 Now, almost twenty years later, the fourth-generation of BMW X5 is here. Before 1999, back when Zubaz pants were still being worn and Keenan and Kel were still going to Good Burger, BMW had not a single SUV. Nothing of utility came from Bavaria, only fun and performance. Now, though, BMW makes seven SUVs and will likely be adding an eighth, with the ironically named BMW X8. And it’s all because of the success of the first-gen X5. So you can imagine that creating a new X5 is a big deal for BMW. It’s the brand’s most popular, most well-known and most important SUV. So what’s this new one like and will it be any good? Well, at least on paper, this new BMW X5 seems like it could be the very best one yet. And that’s coming from someone who really enjoys the first and third-gen X5s quite a bit. From the outside, this new fourth-gen X5 looks very good. It’s not drastically different looking from the car it replaces but it’s certainly an upgrade. While it isn’t that different looking, it is where it matters. Its Kidney Grilles are bigger and feature a singleframe surround, its headlights are detached from its grilles and the headlights themselves are slimmer, sharper and feature laser lights as an option. Overall, its face is just much better looking than that of the outgoing car. BMW wanted to emphasis that this is, indeed, an “X” and that it’s more rugged than the typical BMW (more on that in a bit). 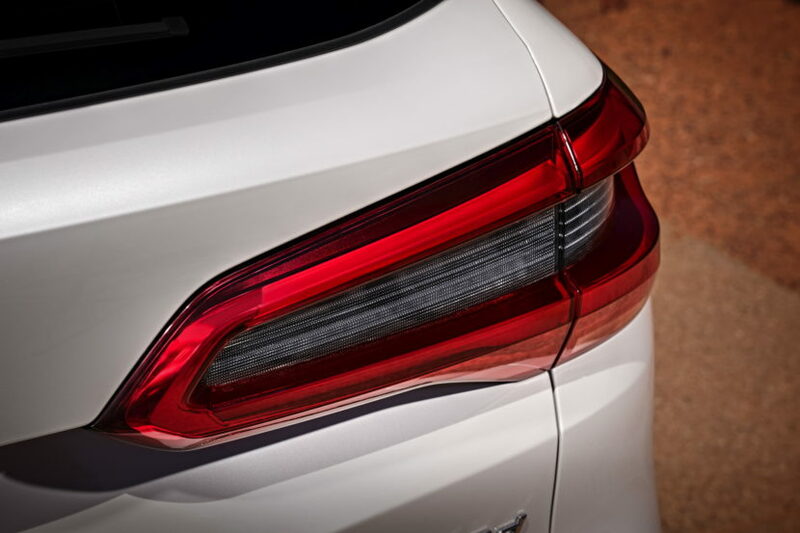 Out back, the taillights are also a bit chunkier but more cohesive looking and much better than then massive “L-shaped” lights of the previous-gen car. The biggest design change, at least on the exterior, has to be the Hofmeister Kink, though. Rather than the sharply angled ‘Kink of the previous X5, this new one’s is more rounded and subtle. At first, we were a bit concerned that it would lose some of that famous BMW DNA that way but it, in fact, looks better than the old car’s. Down the side, the shoulder line of this new X5 is far more pronounced than on the old car. 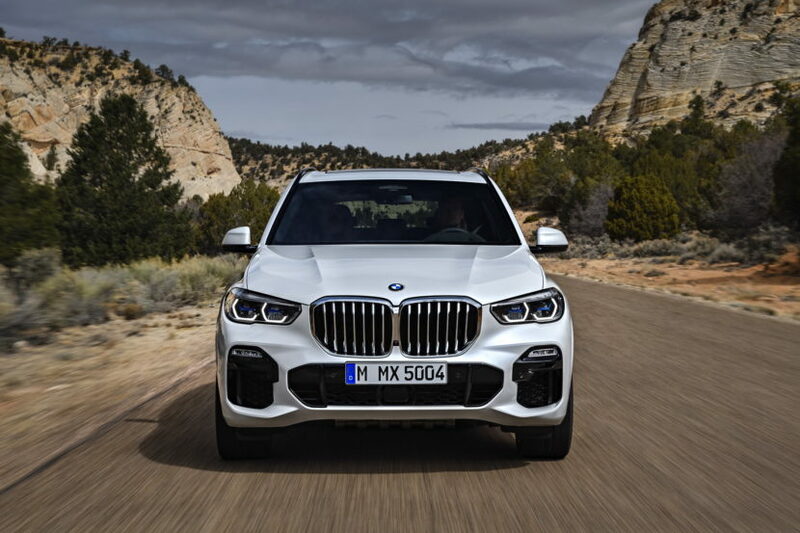 On the outgoing X5, the shoulder line is subtly and nondescript, while on this new X5 it’s more heavily creased and it rises over the rear wheels, to give the car an overall sporty and rugged look. 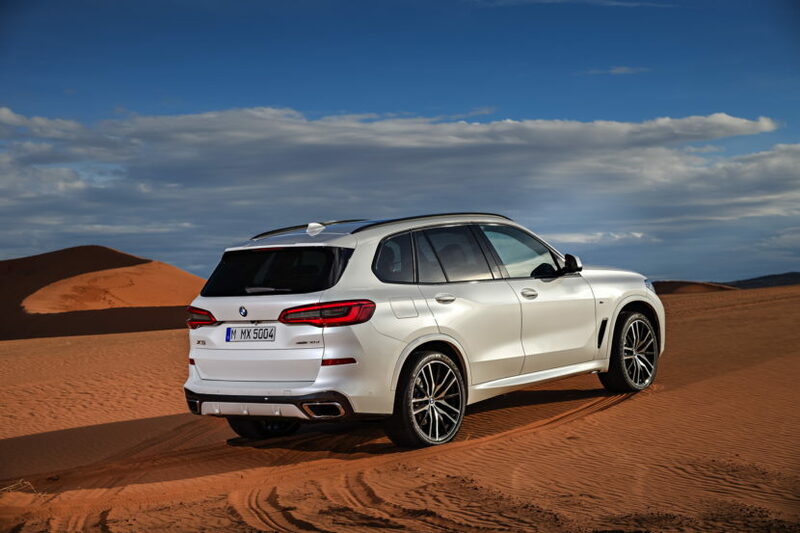 The idea that his new BMW X5 is more rugged and a bit is also emphasized by its size. This new car is 36mm longer overall, with a 42mm increase in wheelbase length, 66mm wider and 19 mm taller. So it’s physically larger than the outgoing X5 and more imposing. Big changes happen inside as well. 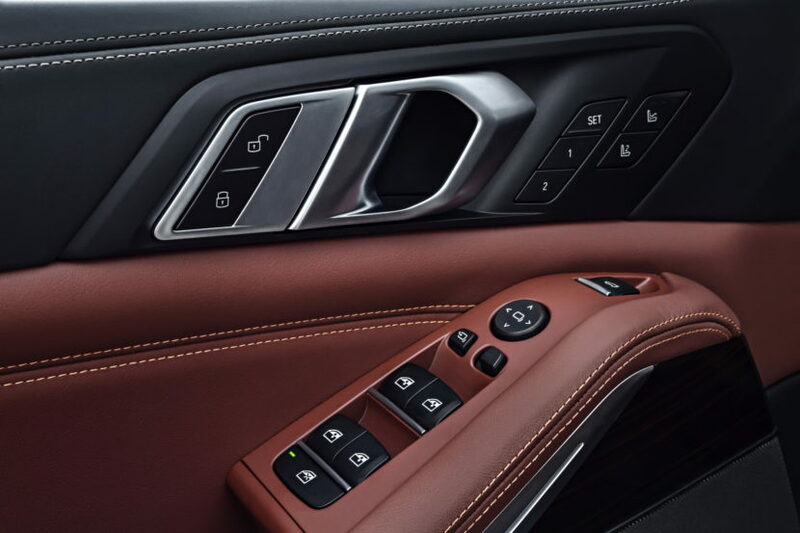 The dashboard and center stack are both similar to those of the new and upcoming BMW 8 Series, Z4 and 3 Series, from what we’ve seen. 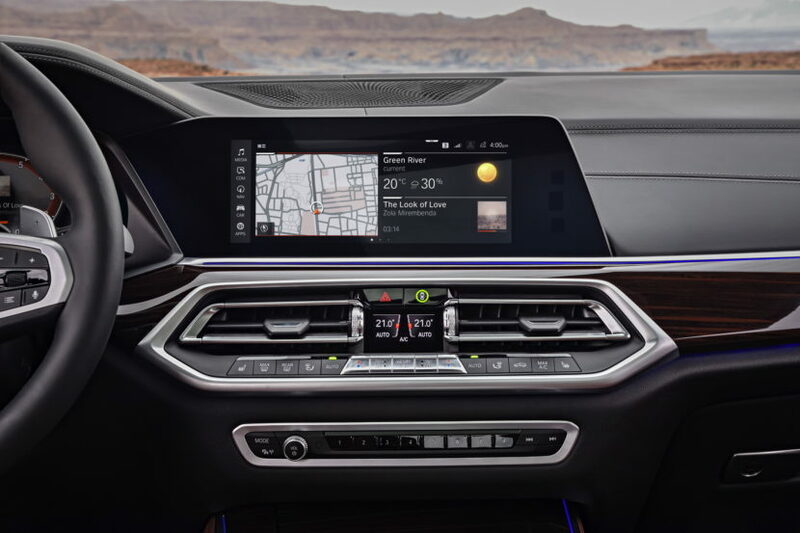 So it gets a new fully digital instrument panel (called BMW Live Cockpit), without the odd plastic bits stuck on it to fake the shape of actual gauges, and a new 12.3-inch iDrive infotainment screen that sits right next to it. So they’re similarly spaced to Mercedes-Benz’s dual screen setup but they’re not quite connected and are spaced differently. So they look quite good actually, very modern looking. Underneath that new iDrive screen is a new HVAC button setup, which we get to see now in better detail. So, sandwiched between the two center air vents are two little screens that feature the temperature and fan speed, both of which are controlled with aluminum buttons underneath. That iDrive system is also all new, featuring an entirely new layout, new crisp graphics and many customizable screens. 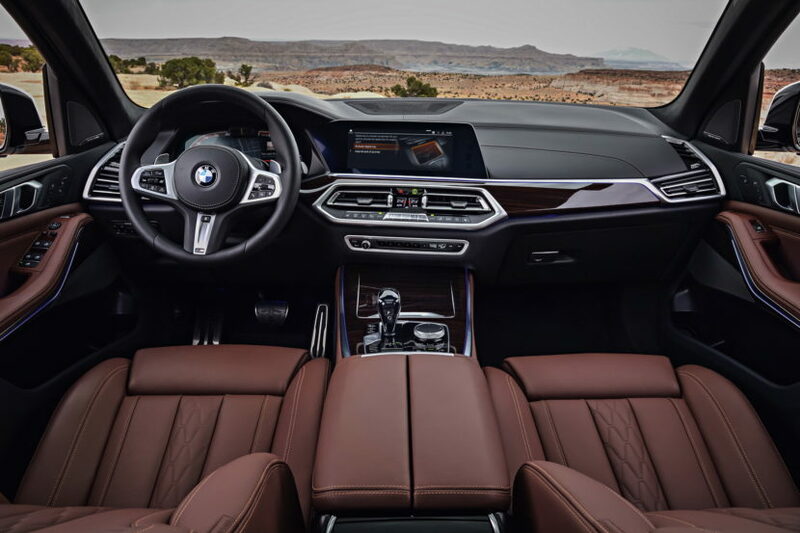 The rest of the interior design is similar to other new BMW interiors, specifically the new X3 and X4, only a lot more upscale, as it features a lot of chunky, angular shapes. 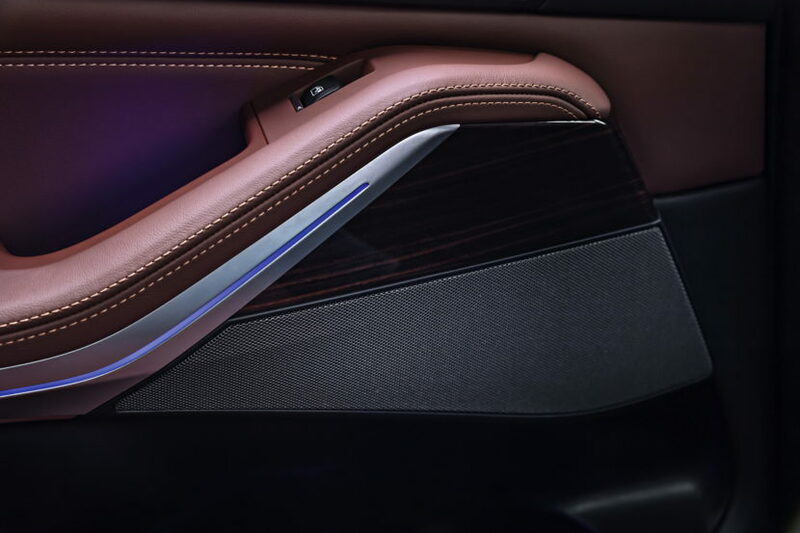 One really interesting feature the new X5 gets is heated/cooled cupholders, both features are highlighted by either red or blue LED rings inside of the cupholders, respectively. There’s also a ton of ambient LED lighting throughout the cabin, even lights in the doors thank blink red when the door is open. 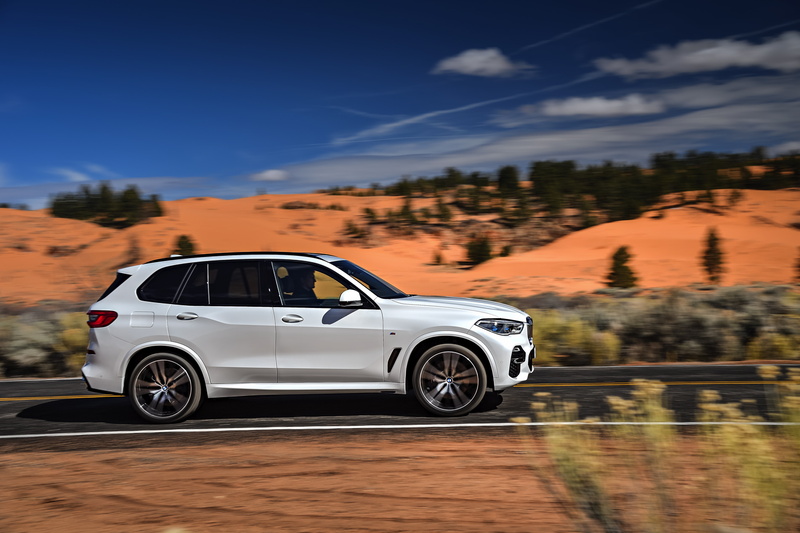 At launch, there will be four variants; the BMW X5 xDrive40i (available in the US), xDrive50i (North America only), xDrive30d and X5 M50d. 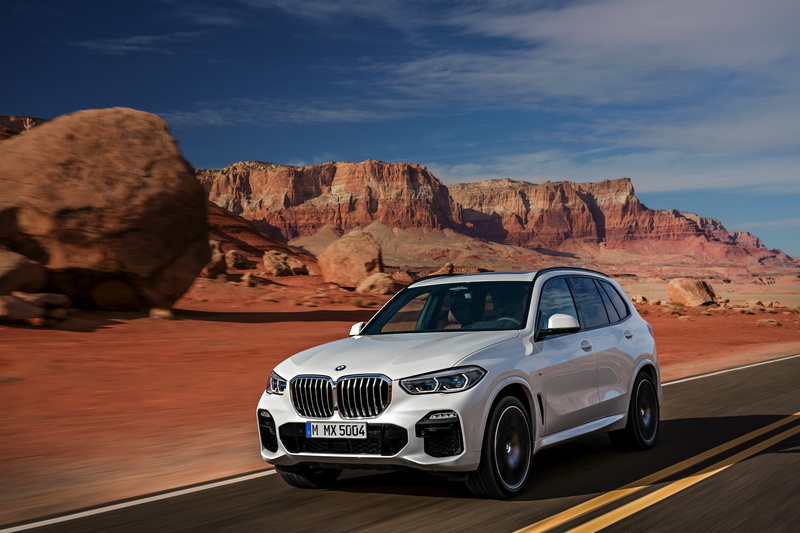 The North American market will get one diesel, likely the xDrive40d, which arrives in 2019. The BMW X5 xDrive40i while likely be the volume seller here in the US and it will pack BMW’s excellent B58 3.0 liter turbocharged I6 engine, making 340 hp and 332 lb-ft of torque. The xDrive50i will get a 4.4 liter twin-turbo V8 that makes 462 hp and 479 lb-ft of torque, so very similar to that of the BMW M550i. 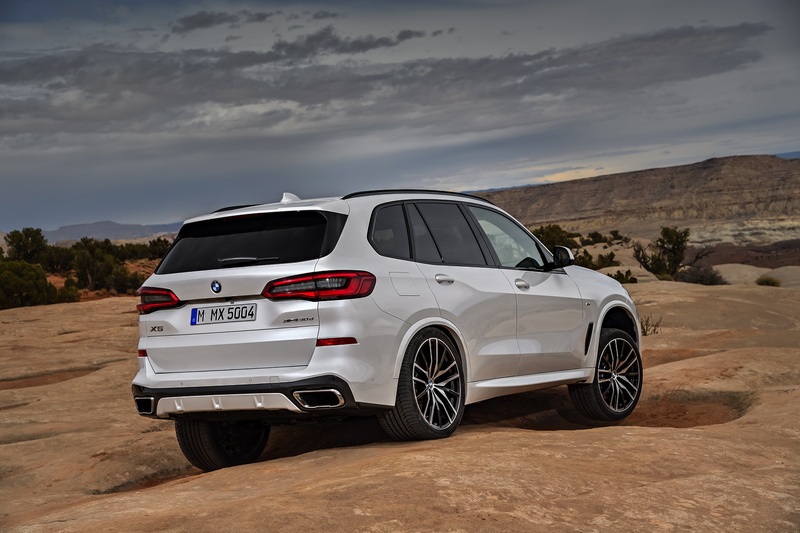 As for the xDrive30d, it gets a 3.0 liter turbocharged I6 diesel engine, making 265 hp and 457 lb-ft.
More interesting than those cars, though, is the X5 M50d, which will pack BMW’s quad-turbocharged 3.0 liter I6 diesel, packing 400 hp and 560 lb-ft of torque. 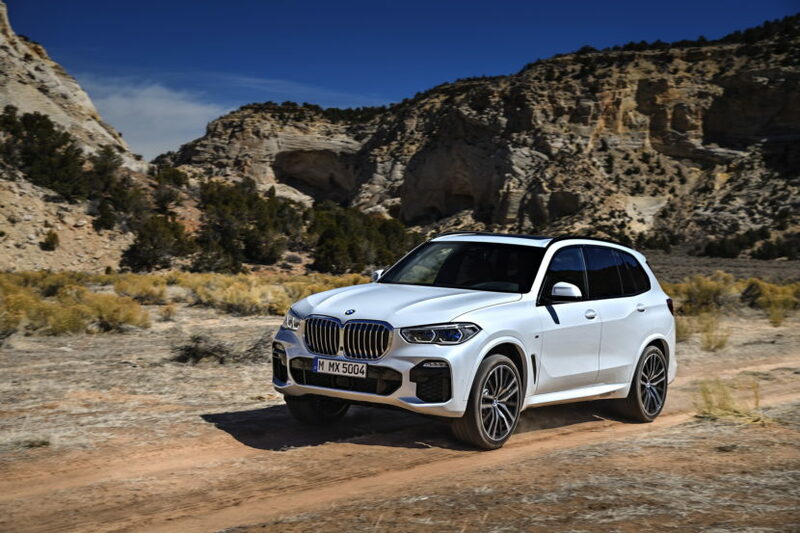 It will be able to get from 0-60 mph in 5.2 seconds, which is only a couple of tics behind the BMW X3 M40i, despite being quite a lot heavier. 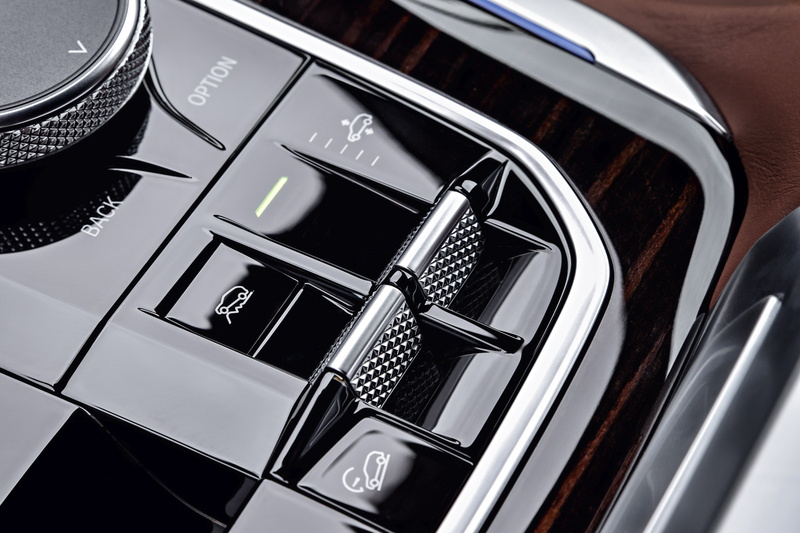 All engines will be paired with an eight-speed automatic and all-wheel drive as standard. 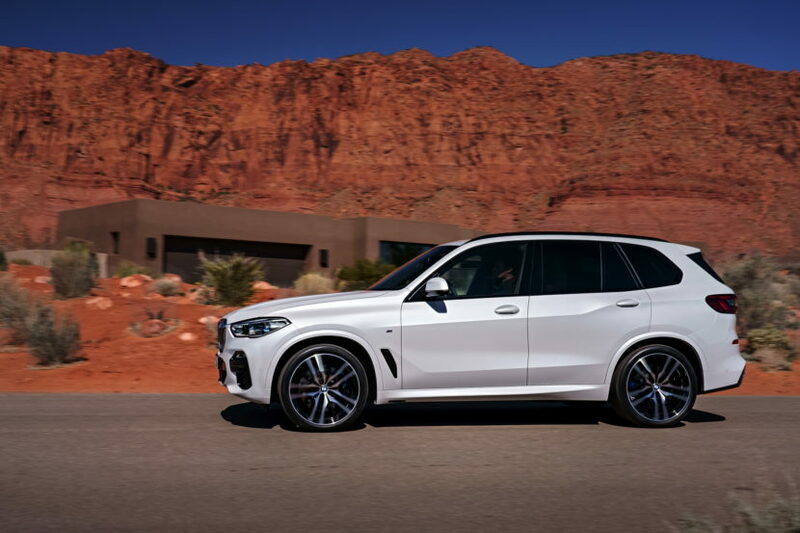 The BMW X5’s xDrive all-wheel drive system is very rear-biased under normal conditions, to allow the X5 to feel a bit sportier and more agile. An electronically-controlled limited-slip differential will be optional and will come with both the X Sport and Off Road packages. The limited-slip diff helps make it both sportier to drive and more capable off road. 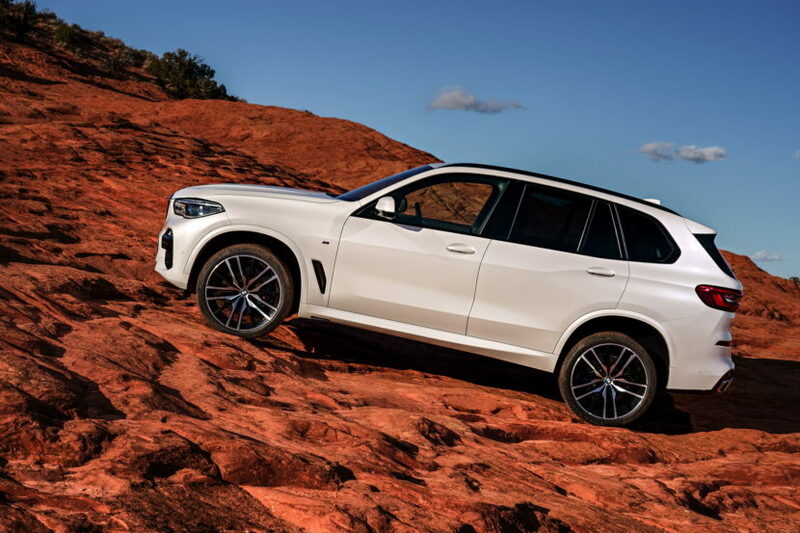 It will also get an optional two-axle air suspension and four-wheel steering, both of which help the new BMW X5 become both more agile and more comfortable. 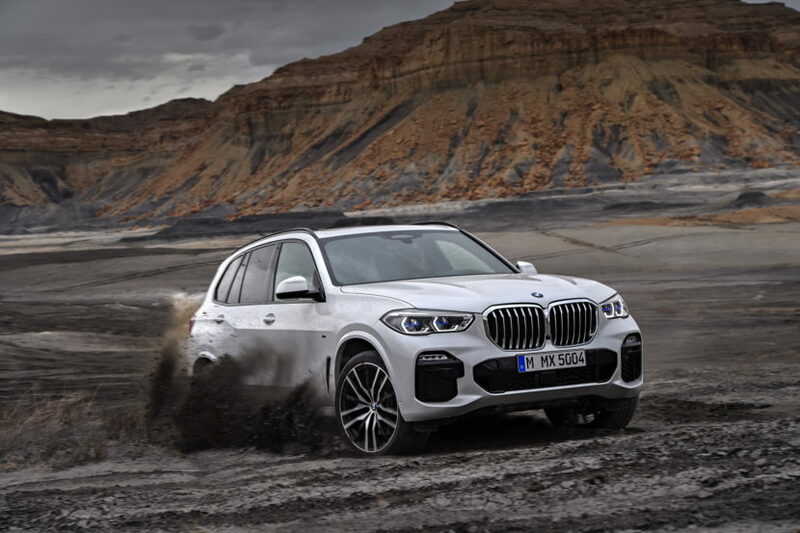 BMW also claims that these systems, along with new software and chassis developments, will help the X5 actually be quite capable off road. 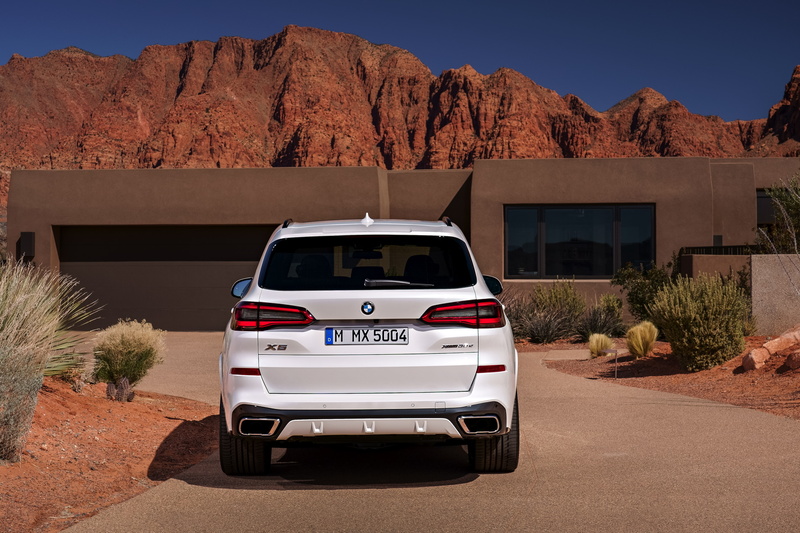 Pushing a button in the cabin can raise the X5’s air suspension up to 40mm and the air suspension can also be controlled from the rear tailgate, so as to make loading/unloading heavy objects easier by either raising or lowering the suspension. What’s nice is that the car’s last setting is kept when it’s restarted. The ride height can also be controlled with the car off with its Display Key. Speaking of Display Key, the new X5 can be locked/unlocked via smartphone, thanks to NFC (Near-Field Communication). 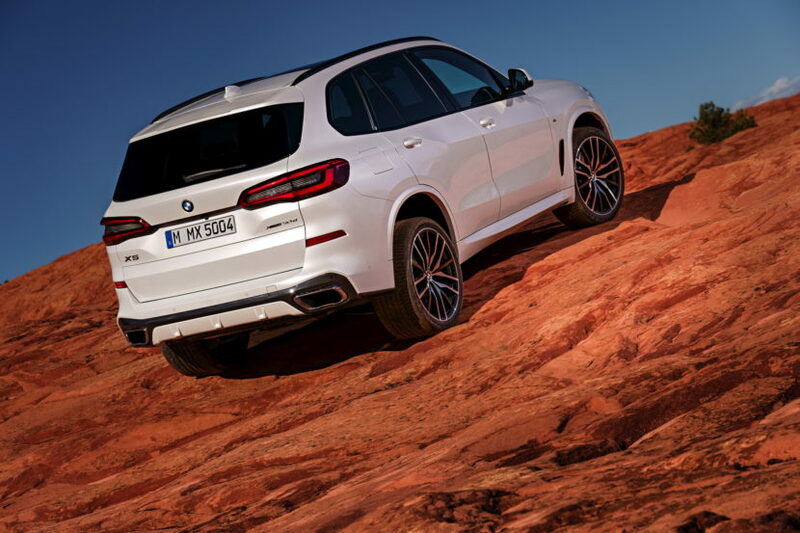 The optional Off Road package, a first for the X5, comes with some skid plates underneath, some special graphics in the instrument panel, an extra button on the center console that can control four drive modes; sand, rock, gravel and snow, and it also brings the aforementioned air suspension and rear diff. 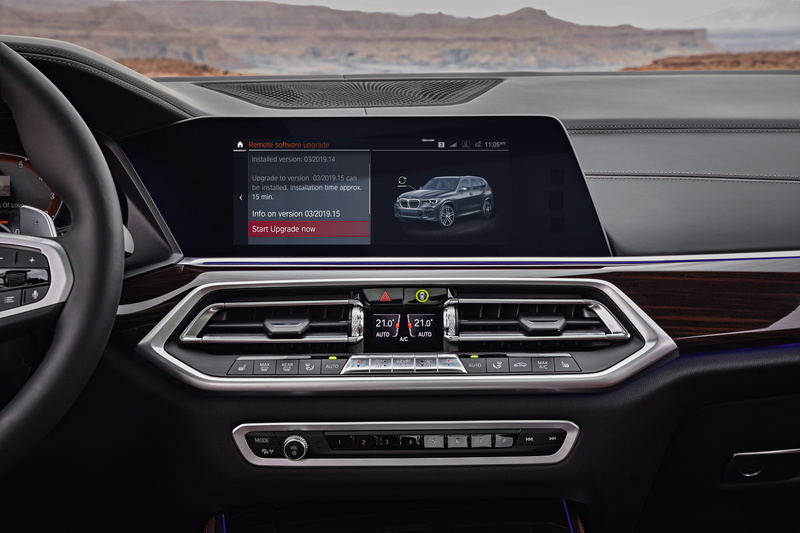 Along with all of that, BMW is also giving the new X5 configurable driver assistance systems. 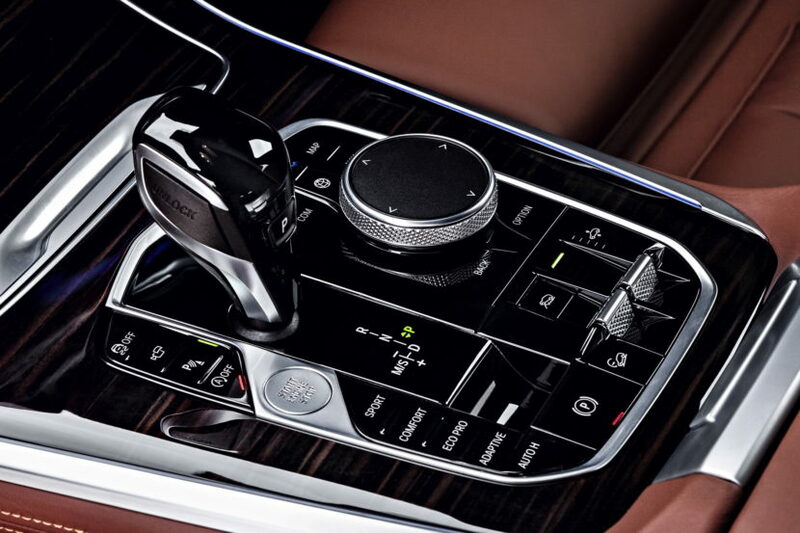 It comes with all of BMW’s latest safety tech, such as Traffic Jam Assist and Lane Keep Assist, but it also gets a new one, called Emergency Stop Assist, which helps stop the vehicle in case the driver become incapacitated due to injury or medical condition by pulling on the emergency brake switch. Necessary lane changes can also be made automatically between the speeds of 70 – 100 km/h (43 – 62 mph) and the hazard lights automatically come one. It will also even automatically utilize the Emergency Call function, to notify emergency services. 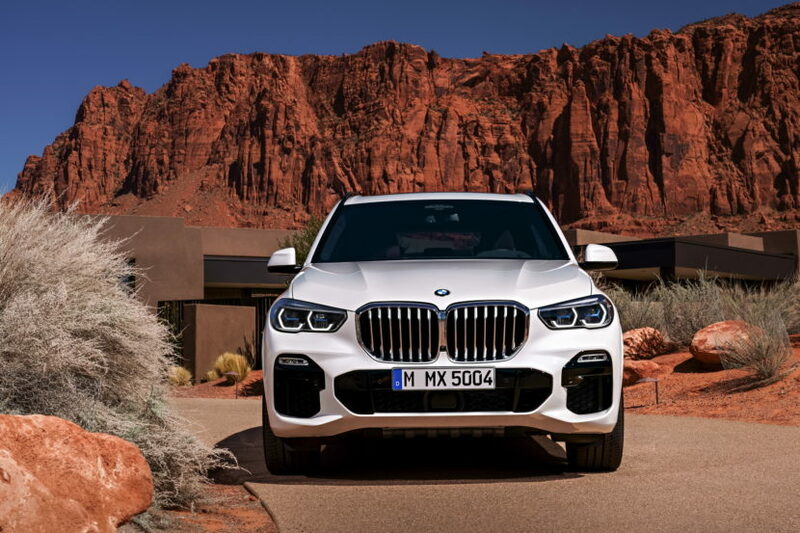 This new BMW X5 is the fourth generation of what is one of the brand’s most important cars. The first-gen started it all, when it comes to BMW SUVs, and this new fourth-gen needs to carry the torch now. Thankfully, it seems as if it has a ton of potential and promises to be quite good. It looks better than the outgoing car, has a much nicer interior with better technology and even more capability. 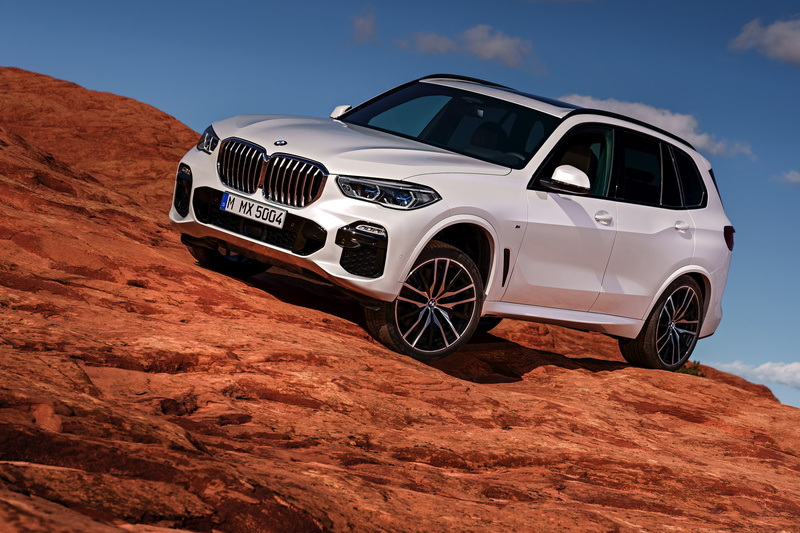 We’re expecting big things from this new BMW X5 and, at least as of now, it doesn’t seem as if it’s going to disappoint.